This week I cut, I sewed, then I cut some more and I sewed a lot!!! Yet, I didn't get done half of what I had intended, and a few pieces have been cut and are ready to sew... I need just a few more hours, so don't be surprised to see another one of these posts real soon! So here's what I did get done... All of these are my own creations, actually I didn't even use any patterns... I just cut straight into the fabric! 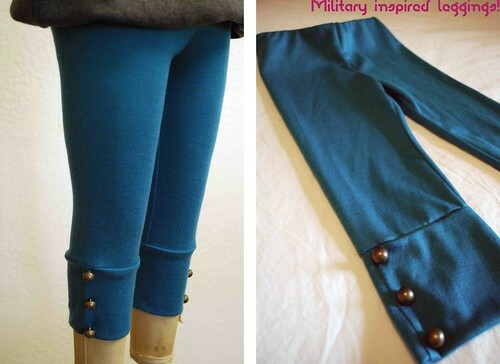 Some comfy leggings with some cool knee patches that once belonged to a pair of suede pants. Mister M is long and lean... so I made him some long and skinny "Dressy" pants... The photos aren't great, sorry! 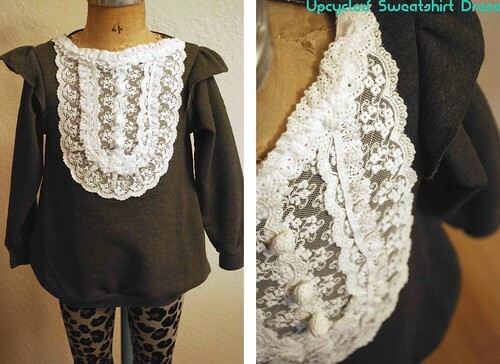 This was an old sweater... upcycled into a girlie dress with some cute lace detail. They were made (the lower part) with some old arm warmers, who wears those anymore? One with fluorescent pink gros grain ribbon covered with lace. This is made from some pink modal fabric I've had for while now... 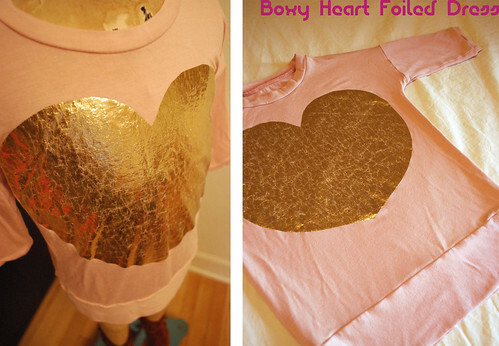 I then cut out a big heart out of iron-on foil. vintage elastic and a small piece of red leather. 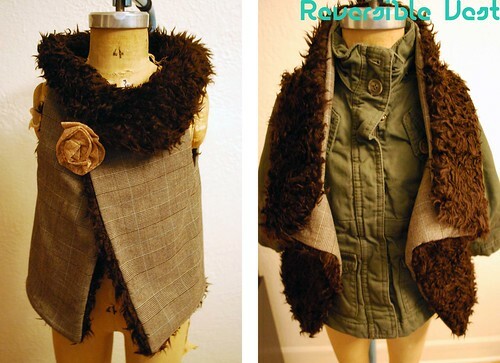 A little bit of military inspiration... the buttons were taken off a broken bag of mine! High School Musical silver leggings your Mother in law has given you? I make them into a size 3T for Miss E... Beats paying 35$ at American Apparel! This sweater used to be my sisters... It went from an XS to a size 3T! I just added 2 layers of lace at the bottom which I dyed in a silvery blue. 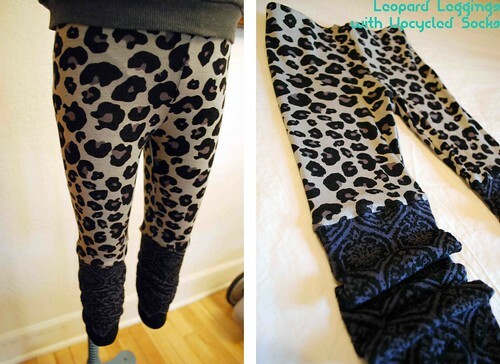 sewed those apart and sewed them back on the leggings! I hope I didn't forget anything! Hope you enjoyed this as much as did... I will try to sew more often, maybe for me next time! At least an hour every two weeks... I think I can handle that!